Solange Knowles wants her son to be a professor when he grows up. The 28-year-old singer is no stranger to the entertainment business, as she’s a successful songwriter, singer and fashion designer. She is also the younger sister of former Destiny’s Child singer Beyoncé. But Solange is hopeful that her 10-year-old son Julez will choose a different career path than both his mother and auntie. “I'm gonna be supportive of whatever he does, but I'm hoping he wants to be a professor of some sort,” Solange told People.com. Solange split from Julez’s father, Daniel Smith, with their divorce confirmed in 2007. But in November last year, Solange walked down the aisle once again as she wed music video director Alan Ferguson. And the stunning singer admits she’s happier than ever. 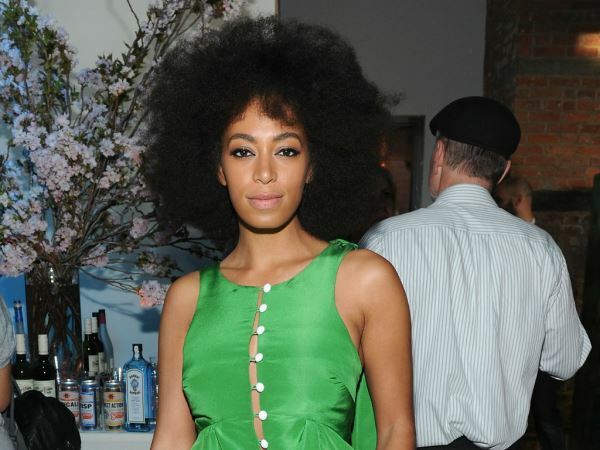 Opening up about the projects she has in the pipeline, Solange revealed she is extremely busy. As well as a new record, she teased fans about various other ventures that will soon be announced. “I'm working on my album, which has been a huge labour of love. I am working on a new project with Kiehl's, which I'm super excited about. We're gonna reveal that project [eventually]. And then creative directing and art directing for Puma keeps me busy.